Hope everyone enjoys seconds, pie, and loosened belts. these are some of our holiday decorations. 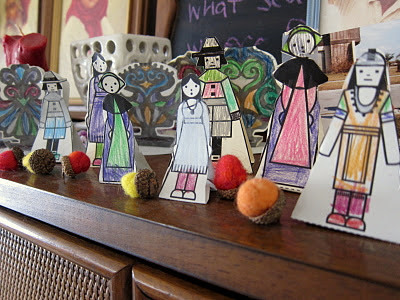 Felted acorns and paper Pilgrims and Native Americans from the Toymaker. So sweet! I love your felted acorns.